I’ve often joked that Borderlands is Gearbox’s one good franchise, a gleaming diamond in a mire of mediocrity. I don’t even think it’s an unfair claim, either. Ask me with a gun to my head to name two other Gearbox properties I’ve enjoyed in the last ten years, I might say Aliens: Colonial Marines because it was so confident in its shitness, and… well, that’s it, actually. But is it fair to hold it against them when the one franchise they’re kept afloat by is as undeniably likeable as Borderlands? Because that’s Borderlands’ primary weapon: likeability. Charm. It’s a game about shooting things with as many outlandish guns as you can scavenge, the game that might as well have invented the looter-shooter subgenre, a game that doesn’t need to have the best shooting, best driving, best writing or best graphics, because it’s absolutely brimming with heart. Hell, its DLC offerings were better than a lot of full games. Revisiting the original now, almost ten years after its initial release, is bitter sweet. On the one hand, returning to Pandora in the dusty boots of Roland, Lilith, Brick and Mordecai is a nostalgic tour-de-force of guns, explosions and laughs. But on the other, it hasn’t aged all that well, and it feels slow and clunky to fingers used to the sequel and pre-sequel. It is still fun though, rampaging through bandit camps and skag nests, blasting and laughing, either joined by a cast of wonderfully off-the-wall oddballs or up to three friends in co-op. The original is a game about loot, about getting rich, and surviving Pandora. 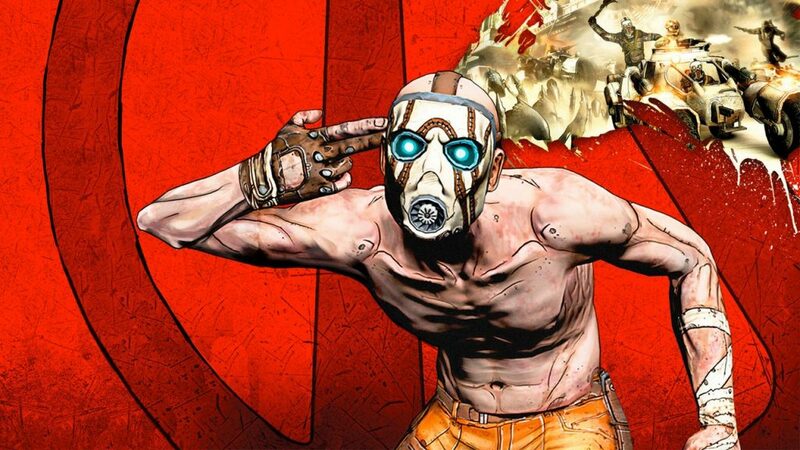 Guns drop left, right and centre, in retrospect not as outlandish and creative as we hoped, but just weird enough to sow the seeds for what came next, and what’s still to come in Borderlands 3. Given a lick of paint, the GOTY Edition (that still makes me chuckle) looks and runs better than any version before it. Colours are more vibrant and there’s more detail in the world. It’s not a major graphical overhaul, but it’s enough to warrant a second (or third, or fourth) look in. The original line-up of Vault Hunters is comprised of a decent selection of nutcases, from stoic Roland to the enigmatic Lilith, a psychic siren whose kind has been a mainstay in the line-up of every game in in the franchise. Essentially Borderlands is an FPS/RPG hybrid, a game that quietly crunches numbers while you concentrate on twitching your trigger finger. Loot comes primarily in the form of guns, from flame-throwing pistols to rapid-fire rocket launchers, colour-coded by rarity as is now the norm even in games that don’t feature RPG mechanics. This edition also comes with all the major DLC packs, including the Zombie Island of Dr. Ned and Mad Moxxi’s Underdome Riot. 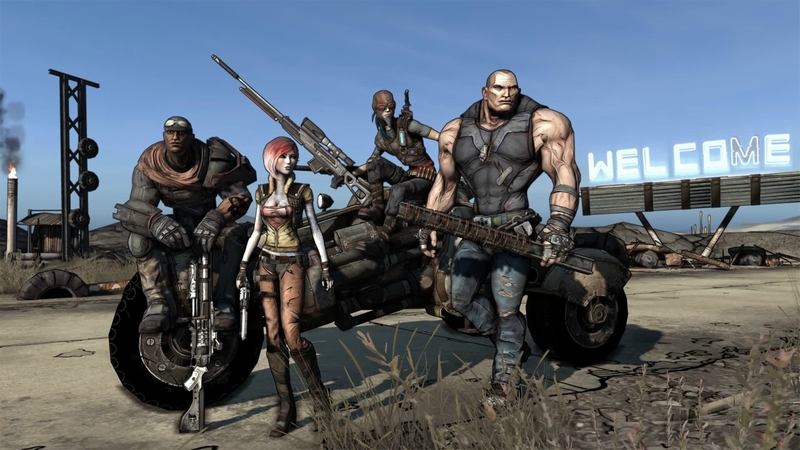 Gearbox were yet to perfect the art of the Borderlands DLC (that came later, with Borderlands 2’s exceptional post-game content), but what’s here does a solid job of extending the story and retconning some of the more frustrating aspects of the plot, namely the legendarily anti-climactic original ending. Of course, the big question is whether or not this is worth picking up. The answer is a resounding “Erm…” If you somehow missed it first time round or maybe played it through and then abandoned it for the sequel, then I’d suggest it’s worth playing (though perhaps not paying for). The simple, undeniable truth is that both games in the Handsome Collection are superior to the original in almost every way, so if you’ve already had your fill of them then there’s not much here to turn your head. It’s still fun, still funny, but it’s an altogether duller and slower affair than the games that succeeded it. I’m not denying that it’s a classic, I’m simply saying it was rendered arguably obsolete by its own successors. Having already seen Borderlands 2 squeezed into the PlayStation Vita (with, admittedly, ropey results), it’s a surprise this version of the first game isn’t also coming out on Nintendo Switch, but that’s an issue for another day. For many though, having an excuse to replay Borderlands 1 on the same console as the Handsome Collection is good enough. Definitely worth a play if you’ve never done so before, but perhaps not all that essential anymore.